NASA is preparing the world for what could be the ‘biggest finding’ on the red planet yet raising speculation about the possibility of discovering life on MARS. A great Martian mystery is about to be revealed according to NASA on Monday, September 28 where experts will discuss a very important scientific discovery from Mars. But a ‘major scientific’ discovery could be a lots of things, from life on Mars, evidence of life in the past, or ocean existing somewhere on Mars. NASA’s previous mayor announcement in July this year, revealed the incredible existence of the Earth-like planet Kepler 425b, outside of our solar system. The press conference will take place at 11:30 a.m. EDT on Monday, Sept. 28 at the James Webb Auditorium at NASA Headquarters in Washington. 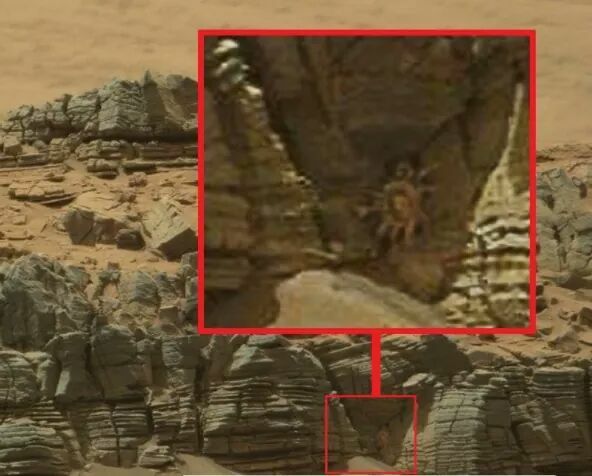 Will NASA announce the discovery of life on Mars? Experts that will be present in NASA’s major press conference will include Jim Green, director of planetary science at NASA and Michael Meyer, lead scientist for the Mars Exploration Program. Many people have started speculating about the nature of the discovery. While many believe NASA will announce they have found traces of life on Mars, and that it can actually survive on Mars, others believe it is very likely that NASA will announce the discovery of flowing water on the surface of the red planet. Lujendra Ojha from the Georgia Institute of Technology in Atlanta will be one of the experts that will join other NASA scientists on September 28. Ojha was one of the first experts to propose that during warmer months on Mars, there might be liquid saltwater flowing through certain regions on the red planet. If NASA announces the discovery of water, it changes a whole bunch of things on the red planet. If there is water, there might be life, and that would be a huge unprecedented discovery. NASA scientists previously thought it was impossible for liquid water to exist on Mars due to extremely cold temperature. Most of what we know today about the red planet is thanks to NASA’s very own alien robot, the Curiosity rover which has been a key component in NASA’s Mars mission. Just last month, Curiosity discovered rocks a meter under the surface of Mars which contain up to four times as much water as previously though. Life on Mars or water on Mars? Which one of these two is more likely to be announced on Monday? What do you think?